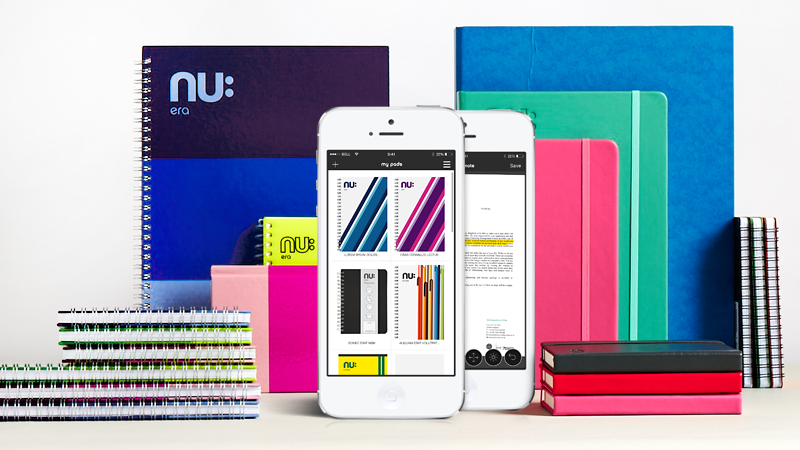 NUCO, Nu Notes™ is the ultimate notes app to capture, store and organise your handwritten memos and doodles. This app allows you to Scan, Save, and Share your notes through a unique interface designed exclusively for Nuco International. The app features scan technology to capture notes with your camera, which you can then categorise and flick through in a ‘virtual notepad’ on a bookshelf of Nu Notebook™ covers. When scanned, notes can be highlighted, annotated, or added to, before being shared via email, social networks, dropbox and iMessage. With Nu Notes™ you can access all your scanned notes in one place, allowing for easy access to your handwritten pages. Whether you have 5 minutes between lessons to recap on last week’s revision, or you’re catching up on minutes from that all important meeting over a morning coffee, this app will allow you to pick up from whenever, wherever you left off. Capture full pages or individual sections. Store and organise handwritten notes in a virtual notebook. Share pages or full books via email, social networks, dropbox and iMessage. Categorise notes by choosing a name and cover design for each book. Browse scanned notes in a virtual bookshelf of book covers. Highlight, annotate, or add to notes before saving. Easy access to all your notes on the go.